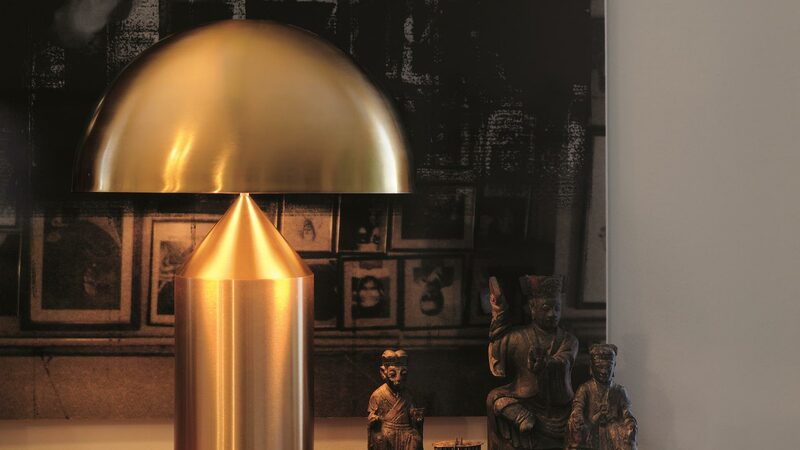 Designed in 1977 by Vico Magistretti, over the years, Atollo has become the archetype of the table lamp, winning the Compasso d’Oro in 1979 and completely revolutionising the way we imagine the classic bedside lamp. 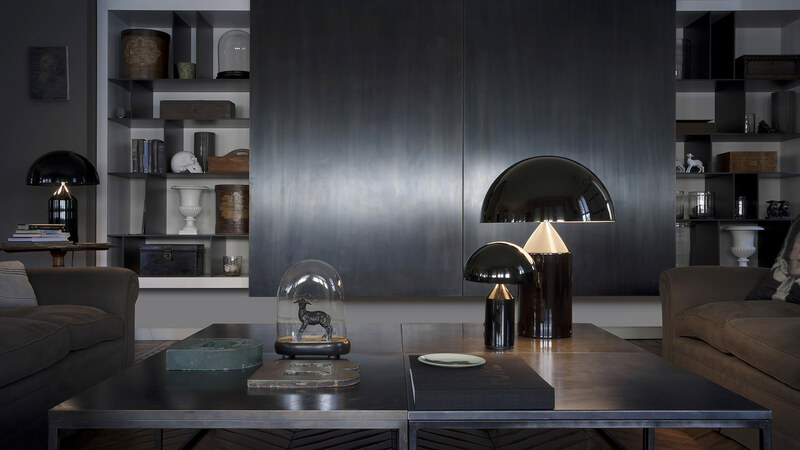 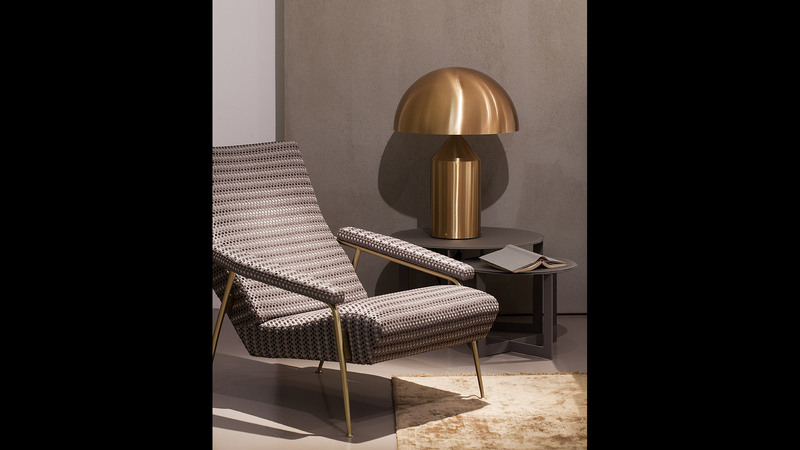 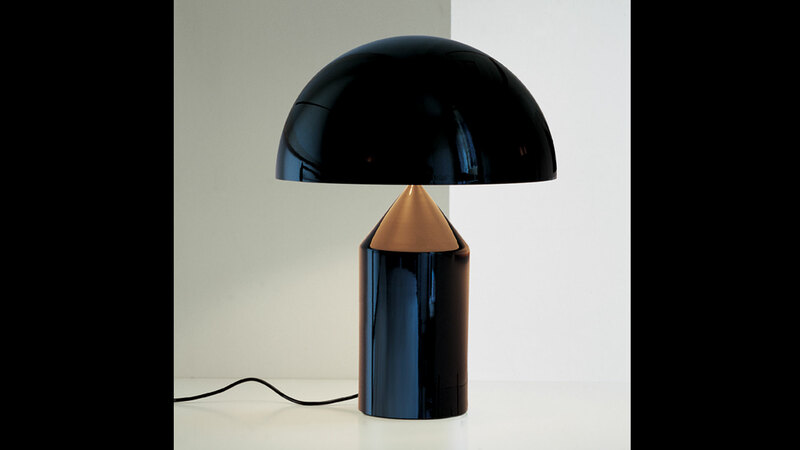 The geometric shapes that compose it – cylinder, cone and hemisphere – have resulted in a product that is decorative and essential at the same time, disconnected from the historical period and the fashions of the moment, and one that has now fully become one of the icons of Italian design. 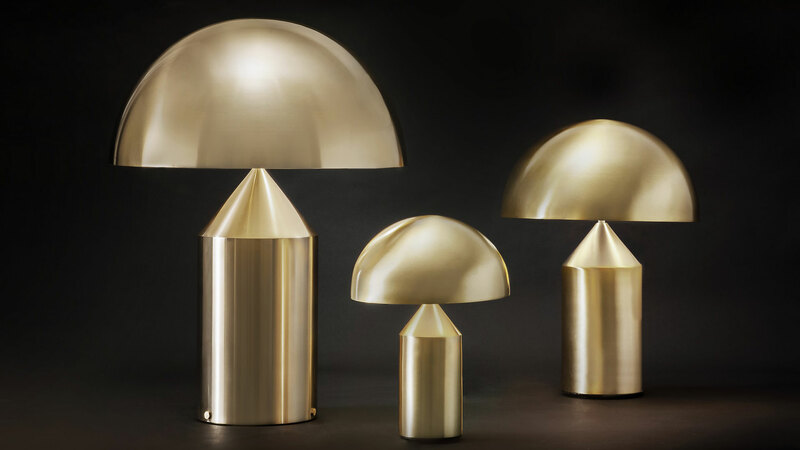 Atollo is available in three different sizes and in different finishes: gold, white or black metal and opal glass.